Discovery Motor Sports recently partnered with Reed Security to Decrease Theft and Losses. 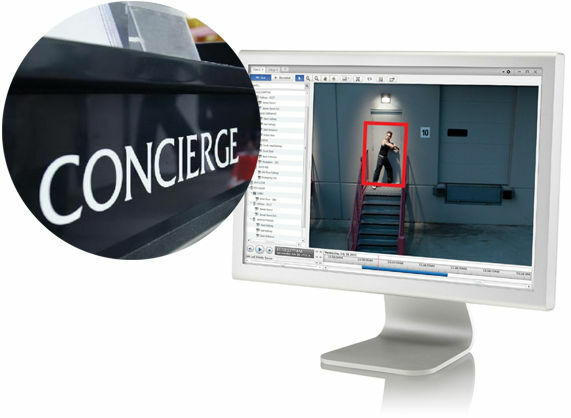 Easy-to-Use Video Management Software - "Review Hours in Minutes"
PC, iPhone, iPad, Android apps. Discovery Motor Sports is proud to be the only full-line Polaris dealership in Saskatchewan. In addition to a great line-up of Polaris snowmobiles, ATV’s and side-by-sides, DMS-Saskatoon is thrilled to carry Victory and Indian® Motorcycles. Drop by to check out the newest motor sports showroom in Saskatoon. Meet their friendly, Polaris certified staff and find out how easy it is to have the time of your life; on-road or off! From the day you buy it to the day your retire it, Discovery Motorsports Saskatoon has what you need - parts , service, accessories and riding gear. The store may be new, but the staff has over 26 years of experience with Polaris products. 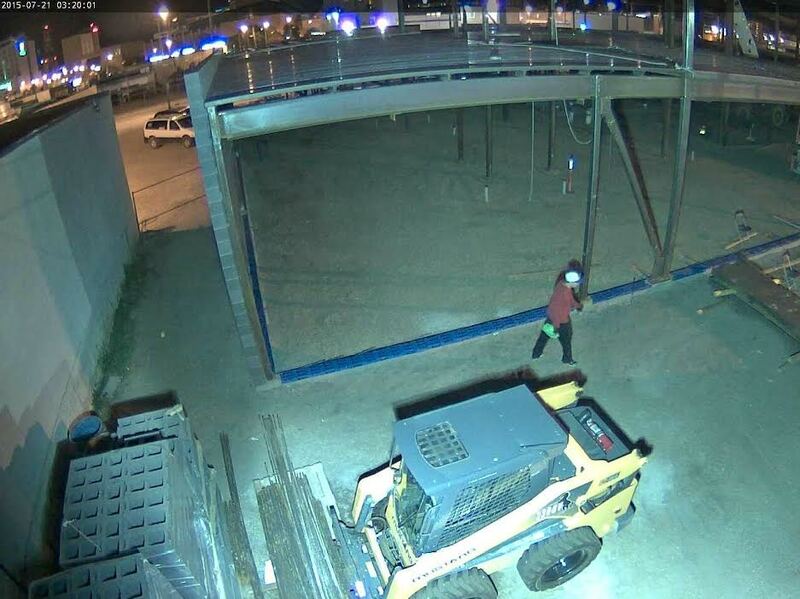 Reed Security has partnered with UCIT Online Security to Reduce or Eliminate Theft at Construction Sites and Compounds. 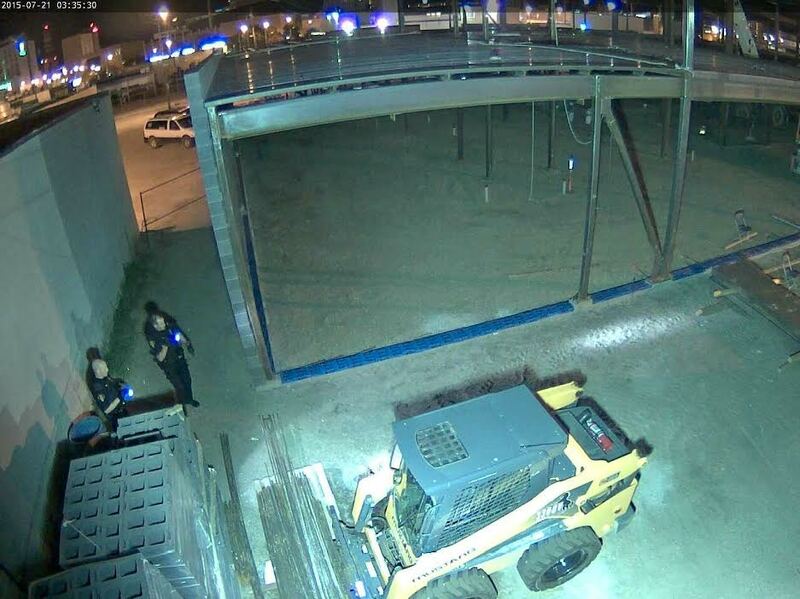 ACTUAL CRIME VIDEO - Saskatoon Police Incident 69656: An unwanted visitor trespasses our client's job site in the middle of the night with the intent of stealing tools and materials. Unfortunately for him - the night ended with a trip to JAIL. 1. Reed Security designs and installs a UCIT Online Security system with 24/7 camera recording and after hours remote video monitoring. 2. UCIT emergency operators respond to smart cameras and perform virtual tours every 12 to 15 minutes. 3. UCIT emergency operator INTERVENES by identifying the intruder "You in the red jacket" and asks the intruder to leave. 4. The POLICE are dispatched and respond to an actual crime in progress. 5. The POLICE arrest the intruder. 6. LOSSES to Theft are reduced or eliminated. One Monthly Fee that includes all Equipment, Software, Wireless Internet, Real-time Remote Surveillance, 24/7 all activities recording, and video review. Lafarge® recently partnered with Reed Security to Decrease Theft and Losses. All events are recorded in HD for at least 30 days. Lafarge® has been providing Northern Saskatchewan with quality products for over 40 years and is the largest diversified supplier of construction materials in Canada and the United States. They produce and sell cement, ready-mix concrete, and sand & gravel aggregates across North America. Their products are used in many applications from residential to large commercial and provide the backbone of any construction project within local communities. Quorex Construction Ltd. has been building quality projects for over 35 years and have offices in Saskatoon & Regina. Their well-known reputation is built upon the service each and every client receives and their commitment to quality and excellence on every project. The strength of their organization is its people. They believe that teamwork builds quality and their teamwork approach results in the delivery of facilities that are on-time and on budget. Strata Development is a commercial construction management firm based in Saskatoon. Committed to honesty and integrity, they bring their policy of real-time feedback and communication to every project they deliver. "We are very pleased to have this system up and running!! 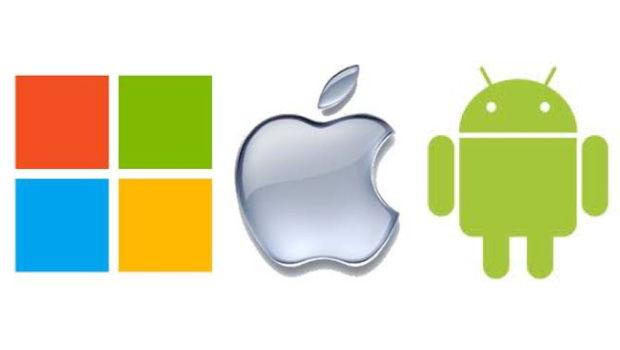 Thanks for bringing something new to the market. Having a system like this brings a very different sense of security and peace of mind for our worksite." 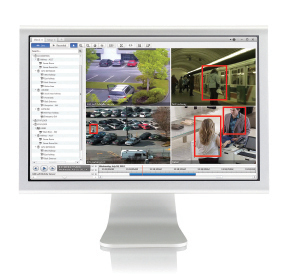 One Monthly Fee that includes all Equipment, Software, Wireless Internet, Real-time Remote Surveillance, 24/7 all activities recording, and security video review.